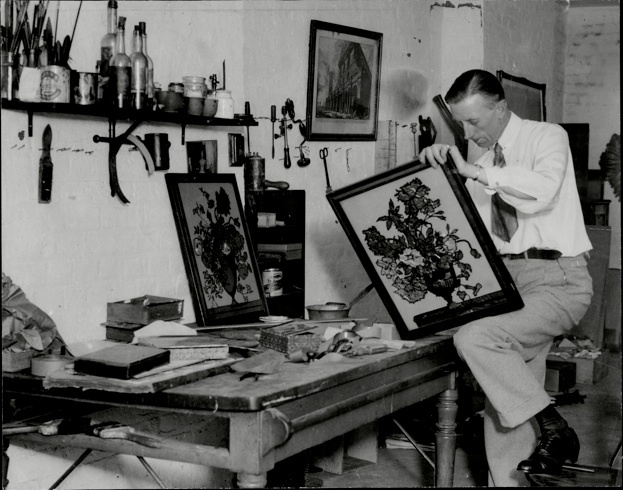 In addition to embroidery and costumery, Ernest engaged in a diversity of other crafts, including knitting, crochet, lace-making, millinery, beadwork, jewelry design, upholstery, and papercraft. Frascati: Gateway with large stone square pillar, vase on top, with vase on wall to L, trees beyond. Torcello: 2 boats on calm water with the towers of a church to L, and land in far distance on horizon beyond. In addition he painted the carpet in the Dining Room of the Dolls House in imitation of a French Aubusson carpet. 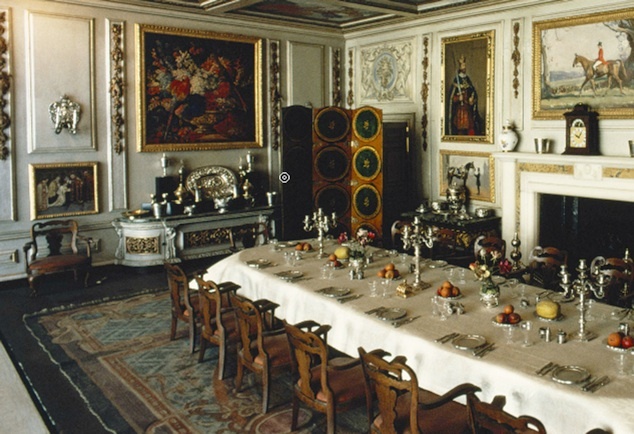 The Dining Room of Queen Mary’s Dolls House with Ernest’s carpet on the floor. On the wall above the sideboard is a painting of parrots by William Ranken.